MEMBERS of an international drug syndicate will spend more than a decade behind bars for smuggling more than $14 million of cocaine into Queensland in the hull of a luxury yacht. The men were arrested in 2015 in what was then the state's largest ever cocaine seizure after police discovered the elaborate scheme in which 90 blocks of the drug was stashed in the fibreglass hull of the yacht Solay which sailed from Ecuador to the Gold Coast. Martin Mayers, 61, and Artur Rivkin, 46, were today sentenced on one count each of importing commercial quantities of a border-controlled drug while Jordan Antic, 70, was sentenced for attempting to possess almost half of the mammoth drug haul. During an eight day trial of Mayers and Antic earlier this month, the court heard Mayers, a UK citizen, had worked with Estonian man Rivkin to smuggle cocaine into Australia by hiding it in the hull of the Solay. Rivkin skippered the yacht on its journey from Ecuador via Fiji and Vanuatu to Australia and did not face trial with his co-offenders, instead pleading guilty. The skipper met Mayers at the Gold Coast when the yacht berthed in August 2015 and the pair worked with power tools purchased at Bunnings to cut open the hull and extract the drugs. More than 90kg of cocaine was found, with a pure weight of 66kg, which prosecutors said was worth an estimated $14 million by conservative calculations. Antic, a 70-year-old man born in Serbia but now an Australian resident, was arrested by police moments before he was due to take delivery of 40 of the 90 blocks of cocaine from Mayers at the Coomera Roadhouse north of the Gold Coast, equivalent to more than 29kg of pure cocaine. During today's sentence Justice Helen Bowskill said Mayers' actions were those of a "cynical, greedy and selfish person" and sentenced him to 20 years in jail with parole eligibility of 13 years and four months. He had already spent three years behind bars meaning he will become eligible for parole in 2029. Justice Bowskill said the crime warranted a "stern and severe" punishment to deter people from other countries importing drugs into Australia. The boat's skipper was sentenced to 16 years and 2 months with a non-parole period at 10 years and eight months. Barrister Laura Reese said her client Mr Rivken had been helping other prisoners get fit in jail and had realised the evils of drugs during his three years already spent behind bars after his arrest. 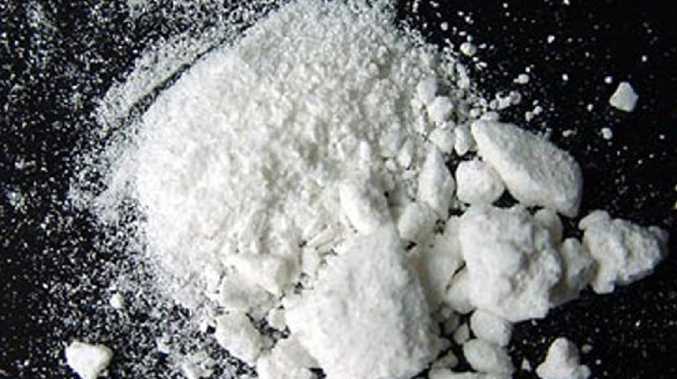 Antic, who had planned to take $6 million worth of the cocaine and distribute it in Sydney, was sentenced to 12 years imprisonment with a non-parole period of six years. Crime A DRIVER faces three charges after being pulled over on the New England Highway. Crime A 38-year-old man has been charged with common assault.